The bag options available for men have largely stayed the same over the last few decades, whereas women have been given bountiful options to choose from. The main purpose of a bag, however, is to make carrying items more convenient – a need shared by both genders equally. 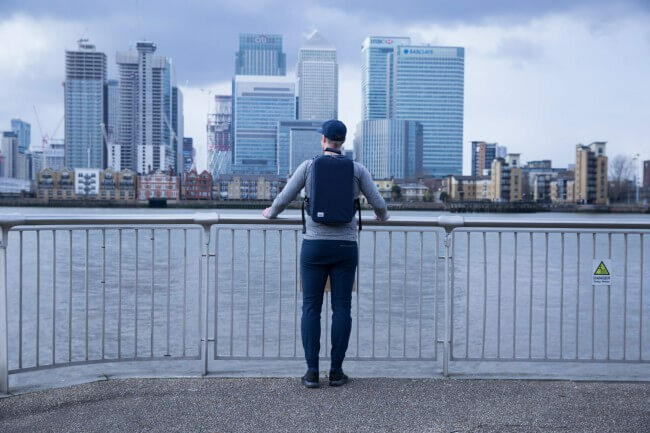 London-based company, STOLT, seeks to give the modern man-on-the-go a new bag option which will fully satisfy all his commuting needs. It is an option that is stylish yet efficient, sleek yet versatile – the perfect bag for the modern gentleman. The bag is appropriately called Alpha, and it is the only one the modern man-on-the-go will ever need, as it has capabilities of transforming from a sports backpack into a professional day bag suitable for all business niches and situations. STOLT funded the idea for their revolutionary bag design via a Kickstarter campaign, which received a terrific response and was funded in full within the first two hours being online. You can, however, still visit the campaign under April 30th and pre-order a bag of your own. Below we look at the features this versatile bag has to offer, both when being used as a sports backpack and a professional day bag. When being used as a sports backpack, Alpha does not compromise. An astonishing array of features is hidden behind a minimalistic design which is suitable for all outdoor events, from your daily morning commute to that weekend camping trip you’ve been planning for months. A padded back panel will help keep items from stabbing at you while on the move, and the breathable mesh material used in this design prevents smells and dampness from building up inside. This combines with an anti-microbial treatment for further protection and prevention. Straps at the shoulders, waist, and sternum ensure your load will be evenly distributed across your body to prevent aches or strains. Pockets on the waist straps will keep your phone or other important items close at hand while commuting. The materials are of the highest-quality and are specially designed to repel water. When this is combined with the high-visibility rain cover that helps you stay visible when light or heavy rain turns most people into shadows, it allows you to keep going rain or shine. When the weekend trip is done, or your lengthy commute activities are finished, this bag transforms into a professional day bag that meets all your needs. Go ahead and feel free to throw away your outdated briefcase now. The straps can be hidden away seamlessly, and special compartments are featured to fit your stationary, conveniently located next to pen hooks. Larger items – such as a change of shoes – can fit inside a specially designed expandable compartment. A secure, well-padded laptop pocket can store electronic devices up to 15 inches without worry over damage. 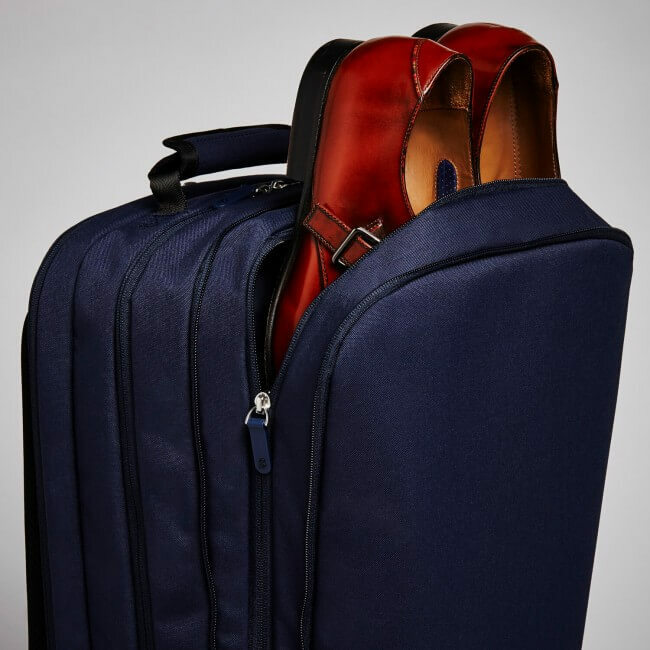 There is even a special garment bag that has folding instructions for storing all your clothing – even a whole suit – without creating wrinkles or creases.